Welcome! At Precision Chiropractic, our primary focus is to find the underlying cause of your health concerns. 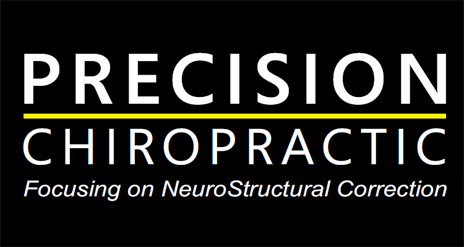 We understand the importance of correcting the problem rather than treating the effect (symptom) which is why we specialize in NeuroStructural Correction. At our office, we offer a complimentary consultation so we can discuss your situation and provide some insight as to what we do in easy to understand terms. We hope you have the opportunity to browse our site where we have done our best to describe our office and our unique approach. "My family has been going for six years now and we couldn't be happier. We are all healthier than we have ever been and that all started very soon after going to Dr. Newton. He truly cares about each one of us!" "The single best decision we made for our family was choosing Dr. Newton as our chiropractor." "Originally I went in for headaches at the recommendation of my PCP. After a couple visits my headaches were nonexistent. The added benefit is all the little aches I would get in my hips, knees and ankles have also been remedied. From day one I was made to feel welcome and comfortable. Thank you!!." "Dr. Paul is awesome! He takes the time to talk to me, thoroughly checks my spine and neck alignment every week and always has a smile. I look forward to seeing him and Sam every week!" "My daughter advised me to come try your practice. I was having constant headaches and sciatica and I was just miserable. The adjustments take away the headaches and the sciatica is all but gone. You LISTEN! The office is always friendly and you can call and get right in." "My overall health has improved significantly. I have very few migraine headaches now which were daily since childhood. Now my back is much more flexible and I have reduced my medications nearly 80%. Overall I feel GREAT!" "Seeing Dr. Newton regularly has been the best decision I have made for my family. The four of us are noticeably healthier and I'm confident my kids are learning and developing at their full potential thanks to chiropractic care!"